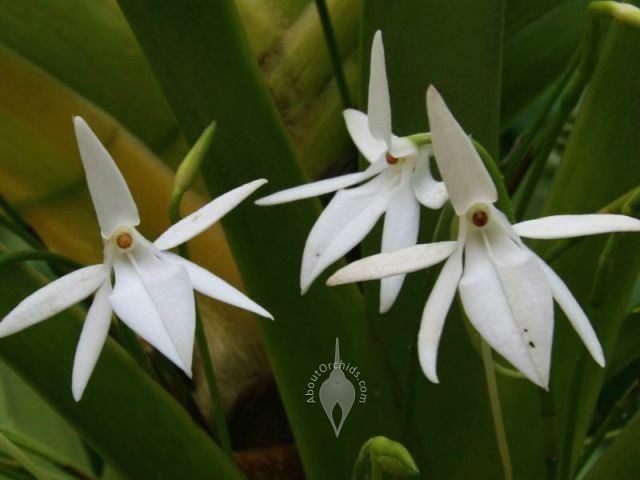 Native to the Comoros Islands near Madagascar, this species of Jumellea is an easy grower with delightful flowers. 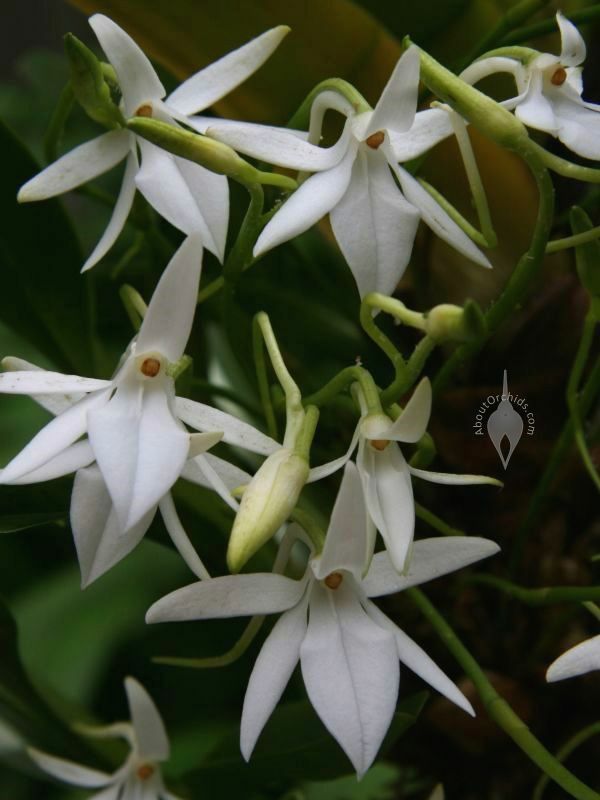 It holds crystal white blooms on long stems, giving the appearance that they’re floating around the plant. 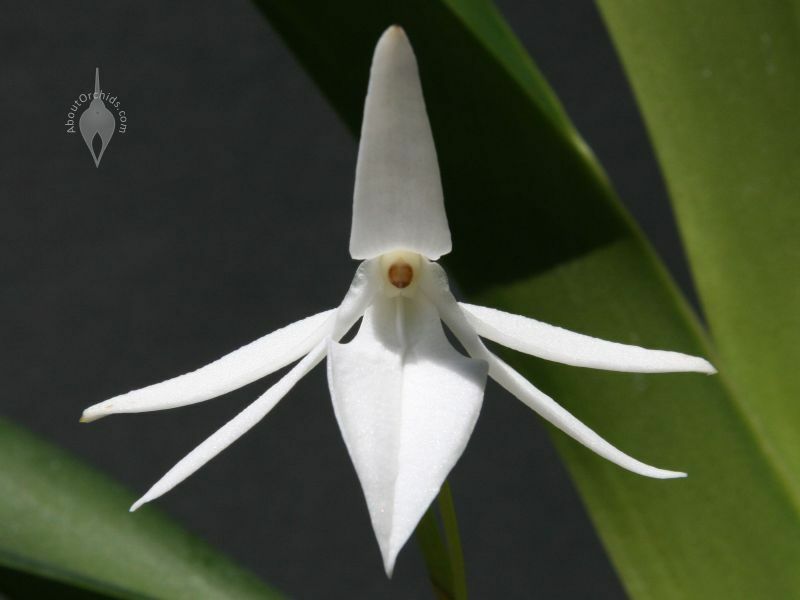 Nectar spurs are long, narrow tubes with a drop of nectar at the bottom, and they’re good clues that this orchid is fragrant. One arcs down behind each flower. 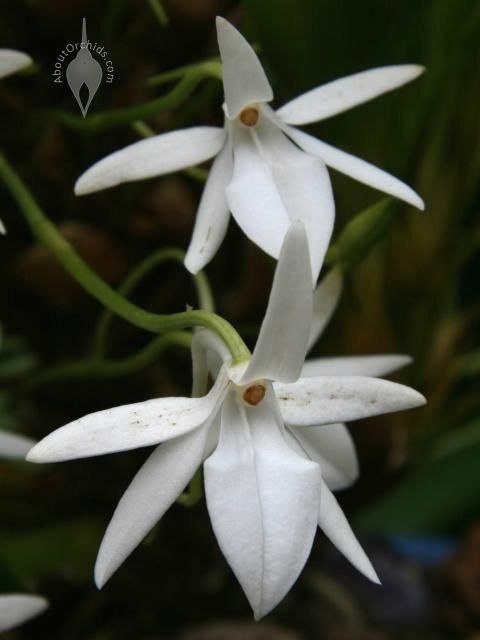 During daytime, it has little scent, but starting in the evening, it puts out a strong fragrance that reminds me of tuberose. 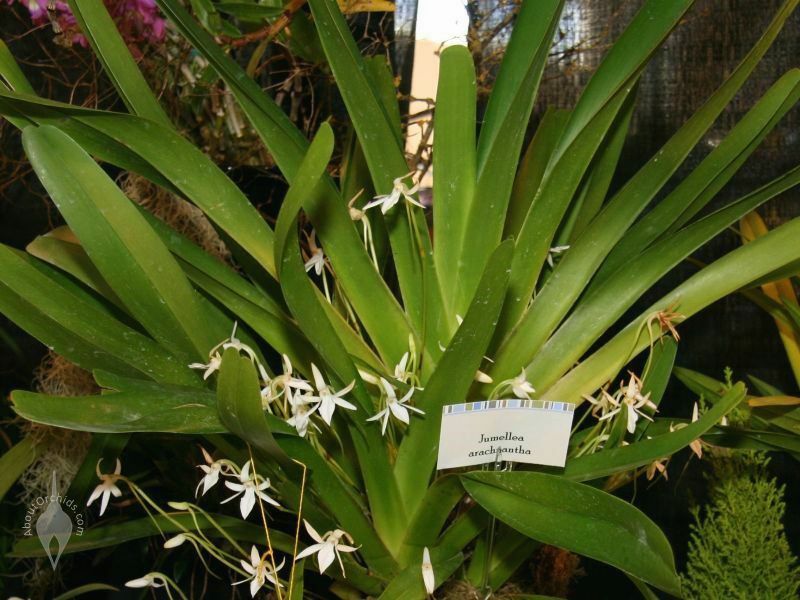 Related to Darwin’s Orchid and Oeoniella, Jumelleas can grow into large, attractive plants. 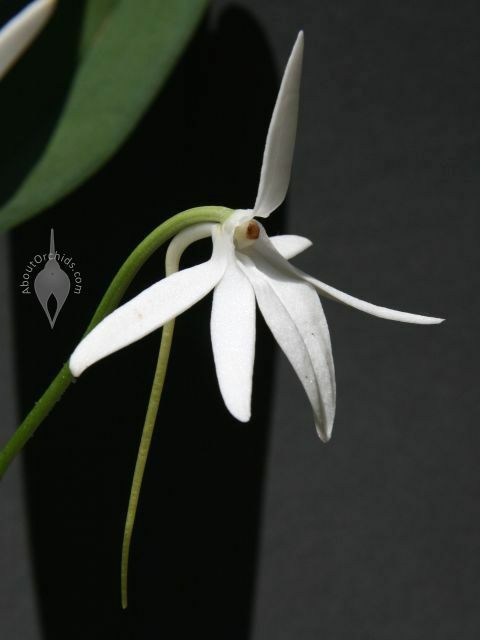 The leaves form a fan pattern, and healthy specimens can grow 2 ft. (0.6 m) tall. 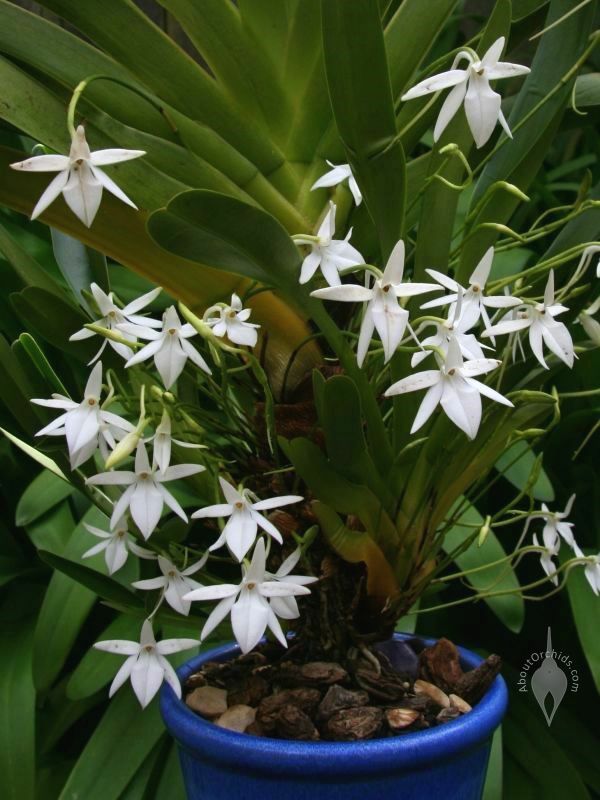 Jumelleas enjoy conditions like Dendrobiums, with bright light, regular water and fertilizer, and winter dormancy. 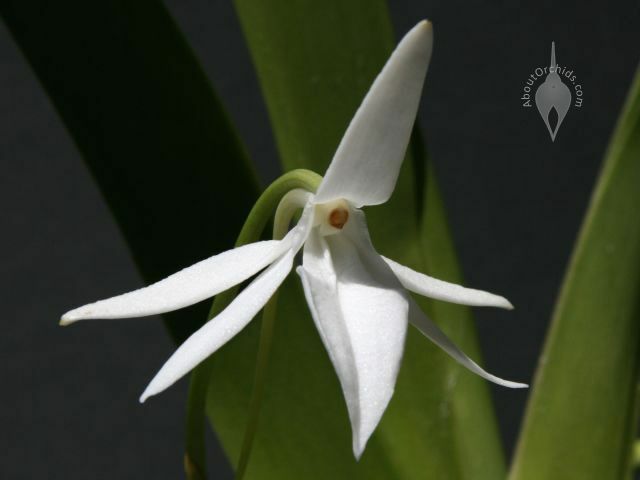 This entry was posted on Friday, April 9th, 2010 at 8:04 pm	and is filed under Fertilizing, Fragrant Orchids, Intermediate Growers, Photos, Watering. What an adorable flower! It looks like it has one eye staring at you. 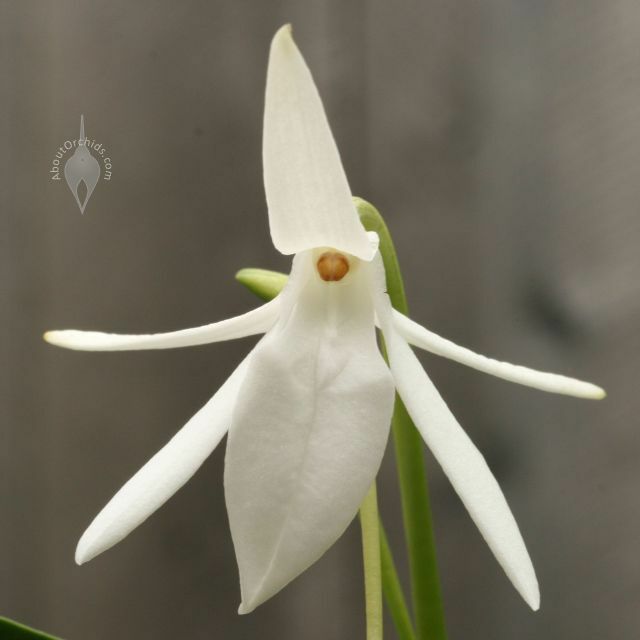 Many years ago I saw this plant at an orchid show but I never knew what it was … it didn’t have a label like the picture shows. thanks for the wonderful pictures! Thanks for the wonderful photos. I never heard of Comoros Island before, I didn’t even know it was a country. I have never seen this orchid before. You give good info and details about it.